Warren Beatty and Faye Dunaway, stars of 1967’s classic Bonnie and Clyde, introduced the best picture nominees. 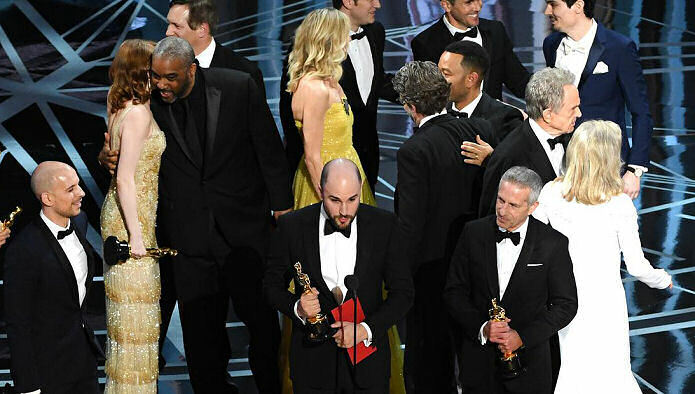 After opening the envelope Beatty paused, seeming to realize that something was amiss before handing the envelope card to Dunaway, who then announced La La Land as the winner. The cast and crew of La La Land, including best director winner Damien Chazelle and best actress winner Emma Stone, took the stage and began to give their acceptance speeches. As emotions both on- and offstage continued to swirl, producer Marc Platt leaned into the microphone to announce that Beatty and Dunaway had read the wrong name. “This is not a joke. Moonlight has won best picture,” reiterated Horowitz. He then held up the envelope to show the audience and those watching at home that the card clearly read Moonlight. The audience erupted in cheers upon seeing the envelope. The Academy Awards ratings are said to be way down. Many Boycott the Oscars Facebook group posts were gaining serious momentum as Facebook members vowed to not watch the “Hollywood Idiots” among other not so nice comments. 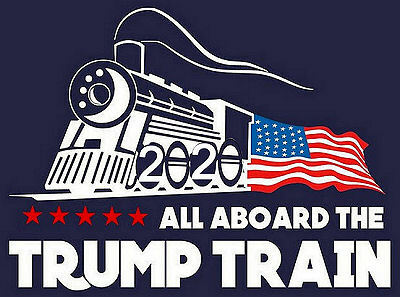 Lets all rally together to support our President – Donald J Trump!